Since the launch of our first product, we’ve been focused on equipping fleet safety leaders with the most comprehensive, end-to-end automated coaching solution. With Nauto Coach, fleet management and safety leaders are equipped with actionable insights and context-rich coaching. As a result, businesses like Atlas Financial Holdings’ insured passenger fleets have reduced their claims frequency by over 35%, while another global leasing company has reduced their losses by nearly 60%. We then took one step further by coaching drivers in the cabin and in real-time to modify high-risk behaviors as soon as they occur. With Nauto Prevent, automated in-cab alerts immediately notify drivers once texting, cellphone use, drowsiness, or other high-risk distracted driving behaviors are detected. This has helped reduce distracted driving by over 50%. Now, our latest driver safety product empowers drivers to take coaching into their own hands. 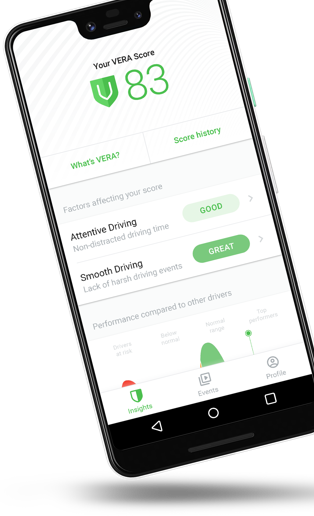 With direct access to their own insights, drivers can use Nauto Driver to view their overall VERA Scores, as well as their Attentive and Smooth Driving Scores, to understand and track their safe driving performance over time. 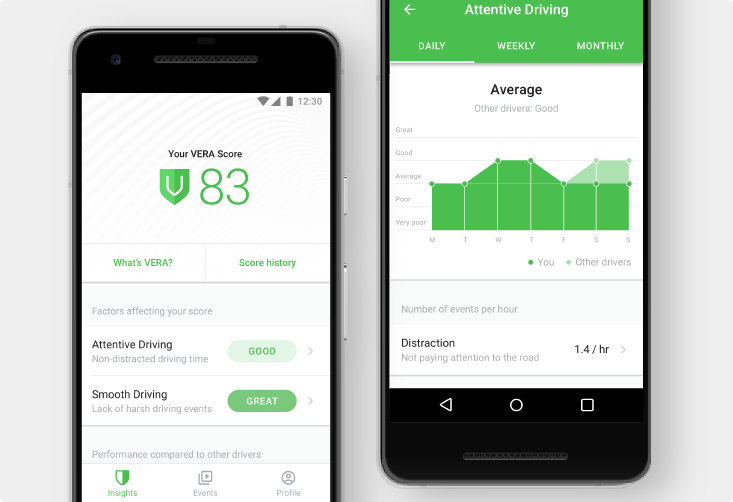 Drivers can even learn more about their Attentive and Smooth Driving performance to see their driving trends by day, week, or month. At the end of each driving trip, Nauto Driver synthesizes the driver’s trip into a Trip Details view, where drivers can view important details, including a route map, trip duration, distance, and safety scores. 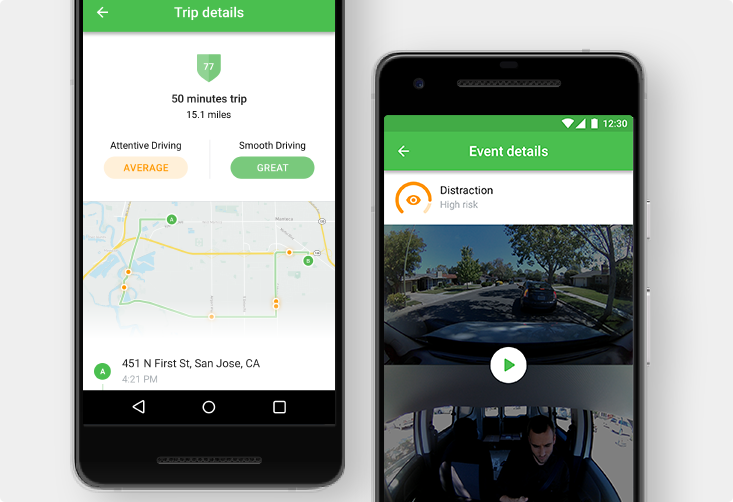 Nauto Driver’s Trip Details view adds context into high-risk driving events to enable drivers to understand their high-risk driving behavior and identify opportunities for improvement. By providing drivers with full transparency and equal visibility into their driving behavior as their fleet managers, Nauto Driver equips drivers with the tools they need to improve their driving behavior without the intervention of a fleet manager, ultimately reducing losses and streamlining fleet operations. And this is just the beginning. We look forward to adding more features in the near future to further engage and empower drivers. Starting today, fleets can add Nauto Driver to their Nauto Coach or Nauto Prevent subscriptions. If you’re interested in empowering drivers to improve their safety performance, contact us today!